Prassack Advisors, LLC, an integrated agricultural technology consultancy announces the addition of Dave Lundberg, to the company’s leadership team as Executive Consultant. Advances and use of technology are key to growing enough healthy food to feed the world while conserving resources and reducing environmental impact. Prassack Advisors works with clients committed to this challenge to optimize successful implementation strategies. Lundberg joins Prassack Advisors after having most recently served as head of strategic marketing and global business development at the innovative agriculture technology provider aWhere.com. As a consultant with Prassack Advisors, Lundberg is emphatic helping clients find creative solutions to complex issues. He has a comprehensive understanding of agriculture and food systems, software as a service (SaaS), environmental stewardship, knowledge mobilization and modern farming. 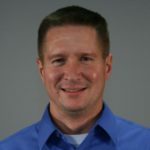 Along with Lundberg’s recent work at aWhere Inc., he has more than 20 years experience as a senior executive in software strategy, operations, and product management. He has re-engineered the strategy and operations of numerous software companies into effective, profitable enterprises. Previously, Lundberg helped lead his company to an acquisition by Microsoft. He also served as Dun & Bradstreet/Hoovers Vice President of Product Strategy. The software products under his direction have delivered proven value to the largest global enterprises including IBM, Ford, Volvo, Sun, and Zurich Financial Services. Lundberg received his Bachelor of Science degree in Agricultural Business from Iowa State University and started his career in the field working for Land O’Lakes and Bayer.